Formula 104 Garlic Extract is derived from aged garlic extract in combination with soy lecithin processed by the special Kyolic® aging extraction technique that reduces the deleterious and malodorous component of garlic. 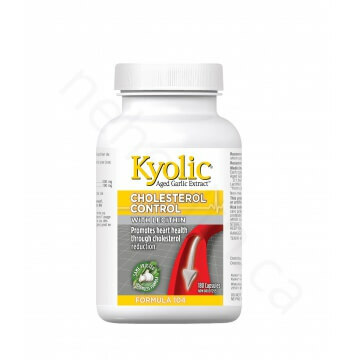 It helps to reduce cholesterol levels and aid in better blood circulation. This product does not contain any articifial preservatives, colours, flavours, wheat, yeast, milk products, sugar or starch. Garlic has long been used as a supplement for people who have high cholesterol levels. 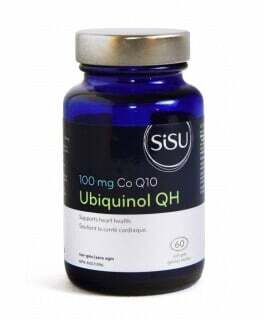 Clinical evidence proves that it is very effective in controlling cholesterol levels thus having superior results on one's health. Formula 104 Garlic Extract's unique aging process ensures a high concentration of active ingredients of garlic has been achieved. 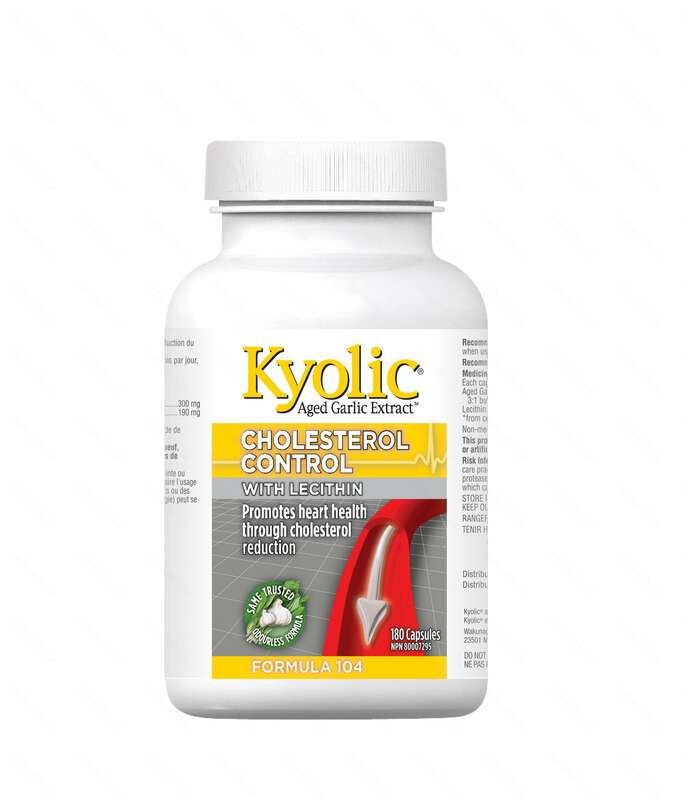 With added lecithin, this formula is an excellent addition to your daily nutrition if your cholesterol is moderately high. Take 2 capsules, 2 times daily with food.